San Diego’s Ron Nehring accepted his underdog role Wednesday as he geared up for the general election campaign against incumbent Democratic Lt. Gov. Gavin Newsom. During a series of interviews with reporters, he said no Republican on the statewide ballot in November will be favored to win, but he added the odds can be overcome. He said the responsibility of GOP candidates is to put forward their own vision, challenge the incumbents, break-up “the monopoly in Sacramento” to make sure all voices are heard in state government. Nehring placed second in Tuesday’s election, with 23.2 percent of the vote, to qualify for the runoff. He emerged from a field that included two other Republicans, a second Democrat and three members of minor parties. Newsom led with 49.9 percent. Nehring said that was the worst performance of any of the Democratic statewide incumbents. 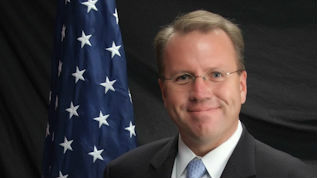 Nehring said some voters went for Gov. Jerry Brown without casting votes for Newsom. That could signal opposition to the incumbent, regional variances or some other factor that won’t be known until research is conducted on county- by-county results, he said. California is a “center left-leaning state” in its elections, according to Nehring, a former chairman of the county and state GOP organizations. “San Francisco is well out of that mainstream,” Nehring said. Still, Nehring will have an uphill climb in the race against Newsom, a heavyweight in the Democratic Party who has hinted that he may run for governor in four years. Newsom has tabbed job creation and economic development as the focal points of his campaign. He said he wants to improve the state’s business climate to make it more attractive for companies. Republicans will have to focus on jobs, education and make a special effort to make inroads in immigrant communities and racial minorities, Nehring said. Asians and Latinos have favored Democrats by three-to-one in recent elections, he said. He said he comes from an immigrant family that came to this country from Germany in 1961.